The Minister of Finance, Hon. Winston Jordan on Thursday evening hosted a cocktail reception in honour of Julie Katzman, Executive Vice President and Chief Operating Officer of the Inter – American Development Bank. This is her first visit to Guyana since the APNU + AFC government came to power and happens at a time when Guyana is receiving significant international attention. Ms. Katzman was accompanied by Vice President of Countries, Alexandre Meira da Rosa, and other IDB officials on the two day visit during which she met with senior members of Cabinet and private sector representatives to discuss the IDB’s support for Guyana’s social and economic development. The Minister of Finance was keen to point out to the delegation that new and more innovative solutions must be found to ensure the success of the portfolio. 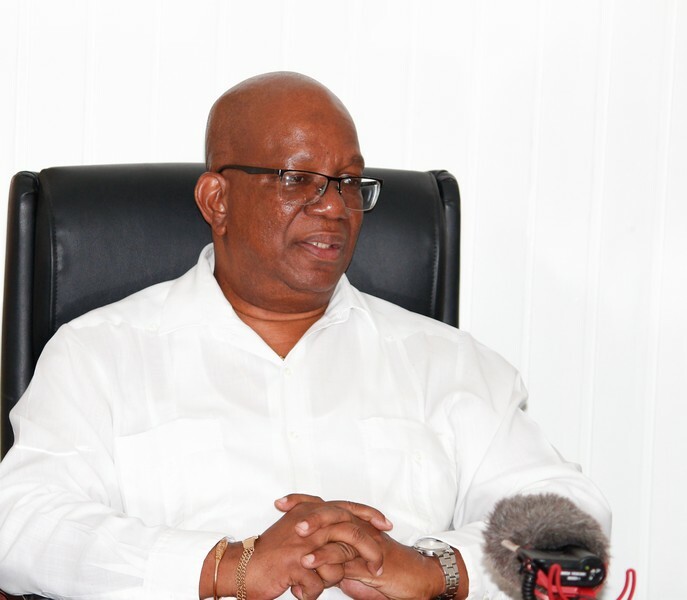 He underscored the challenges of weakened planning structures, poor implementation skills, the paucity in human resources, and the pressing need for international contractors to execute infrastructural works since qualified local contractors are in short supply and as a result Guyana is unable to build its capital stock. Ms. Katzman acknowledged the challenges, but pointed to the lingering perception of corruption and its impact on the country’s Ease of doing Business Index. Guyana moved up 16 places to 124 in 2017 Index. 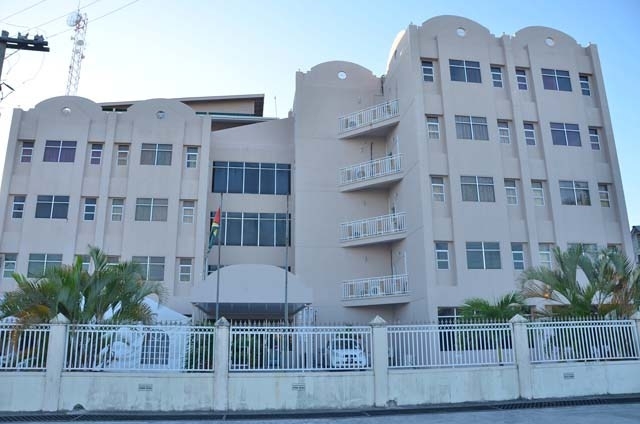 She however committed to exploring solutions that are more unique to Guyana and called on Government to continue to improve and implement its transparency and accountability initiatives. Ms. Katzman has overseen the Bank’s efforts to help Latin American and Caribbean countries reduce poverty and inequality by financing sustainable development in the region. 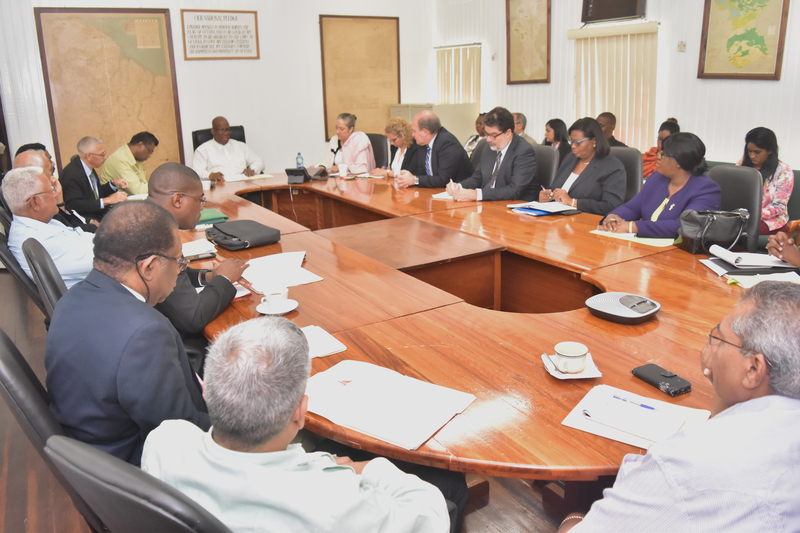 The visit which came to an end today also saw the IDB delegation undertake site visits to Guyana’s first overhead bypass, the Audit Office, Annai and the University of Guyana. As one of Guyana’s oldest development partners, the IDB continues to have significant impact on the development agenda of the country. Presently, it is engaged in financing a number of catalytic projects in key economic sectors such as the Highway Improvement – East Bank Four Lane Road (Providence to Diamond), the Road Network Expansion Program (Sheriff/ Mandela Road), the Power Utility Upgrade Program and Water Supply and Sanitation Infrastructure Improvement Program, among other major interventions. The Government of the Co-operative Republic of Guyana, on the occasion of the Bank’s Executive Vice President, Ms. Julie Katzman, and Vice President of Countries, Mr. Alexandre Meira da Rosa’s visit to Guyana, extends its appreciation to the Inter-American Development Bank for the years of support in Guyana’s development journey. 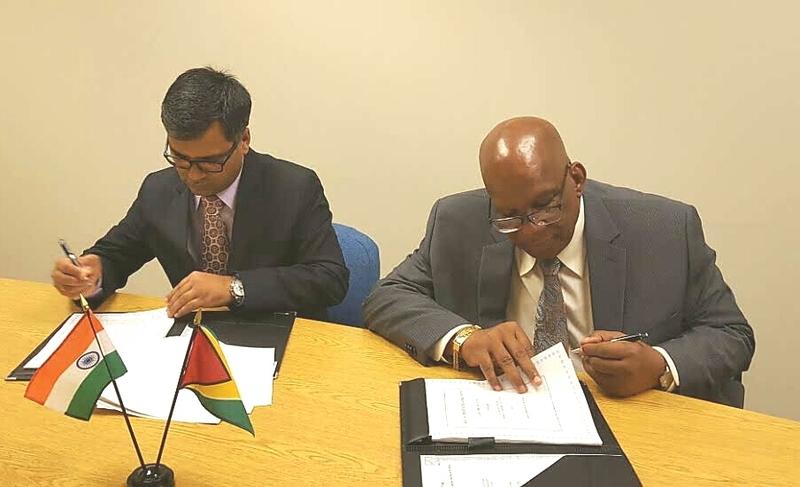 GRA’s GRA uncovers racket at its Timehri operations Guyana and India inks $US4M agreement Minister of Finance and other Senior Cabinet Members meet IDB Delegation. 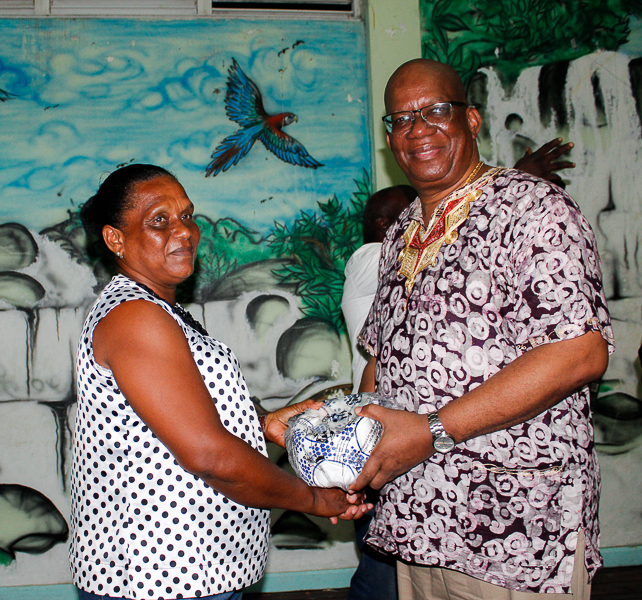 Minister Jordan on outreach to Linden.